All new, all over again! A review of the Cochlear Nucleus 6, including a sneak preview of the automatic program selection feature SCAN! At 69 years, I can look back on a lifetime of hearing loss, probably caused by the measles. My moderate-to-severe hearing loss was not diagnosed until I was in second grade. My audiogram showed the typical “ski slope” curve, but as time passed, my hearing loss progressed until it was classified as profound. I wore hearing aids all my life, and used ALDs, such as FM systems, Bluetooth for my phone and the television sound, and a whole array of signalling and alerting systems. Communication with those around me was frustrating, to say the least, at least that’s what my family and friends told me! This hearing loss, confirmed by an extensive battery of tests in the sound booth, gave me the license I needed to “drive” a cochlear implant, the only successful medical prosthesis which can restore a human sense. In March, 2013, I underwent surgery, and in April, my new Cochlear Nucleus 5 was activated, and in the space of less than 24 hours, it literally changed my life. Obviously, I had a particularly successful activation, and I could actually use the phone normally, just like a person without hearing loss, the same day that I was activated. After seven months with my implant, my audiologist advised me that Cochlear Corporation, the makers of my Nucleus 5 implant, were giving me a complimentary update to the latest processor, the Nucleus 6. 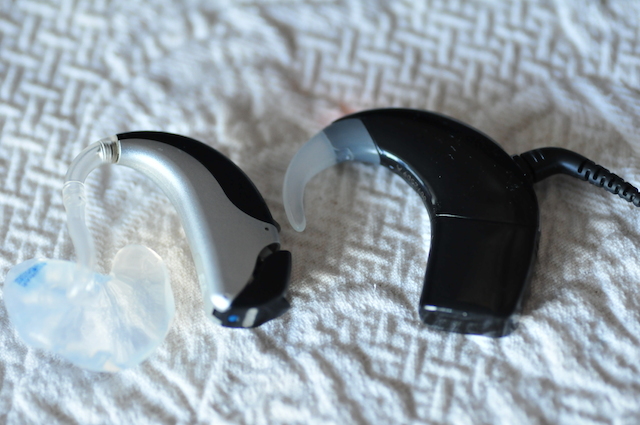 The new processor, with a much more capable chip, offers wireless connectivity, and an intriguing “hybrid” mode, which provides stimulation both electrically, via the implant, and acoustically, with an integrated hearing aid component. Exciting? For sure! On Thursday, the big moment came. The audiologist had already installed my maps on the new processor, and we spent some time going over the new program options, and how to use the new Remote Assistant, which is a total re-design from the old Remote Assistant. I said goodbye to my old Nucleus 5, the processor which had opened up the world of sound for me, and we took the new one for its first drive. 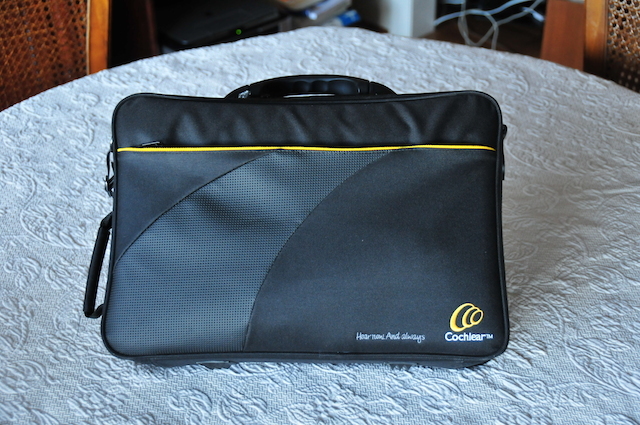 Everything comes in a nice carrying case! First of all: What was in the box? The new processor, model CP 910 (the larger one with the audio port), was there, of course. It’s shown here with my Naida IS X UP hearing aid for comparison. 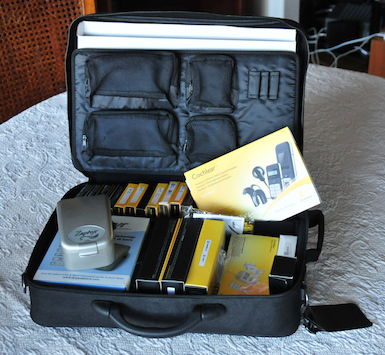 … as well as one each of the standard and compact rechargeable batteries, which I had ordered. The batteries for the Nucleus 5 and Nucleus 6 seem to fit on both processors. Here are the Nucleus 6 batteries shown on the Nucleus 5 charger. 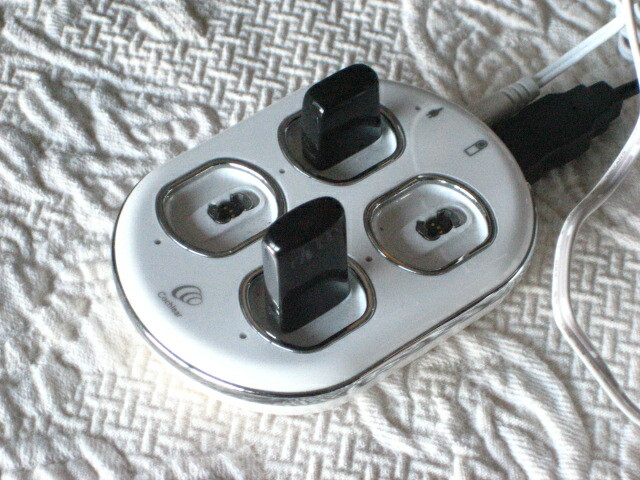 The Nucleus 6 charger is charcoal, rather than white. 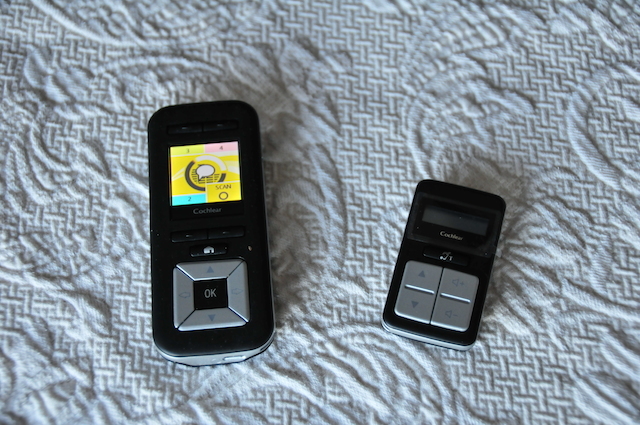 Cochlear included the two new remotes that were introduced with the processor, the CR 230, the advanced Remote Assistant, and the CR 210, the key-ring sized basic remote unit. Also in the box, the charger for the remote control, a complete documentation package, the headpiece (coil), the headpiece cable, a USB cable for the remote assistant, the magnet, and a set of replacement microphone protectors. I was able to keep the old headpiece, and all the other accessories which came with my N5 processor, as they are all compatible with the new unit, a wonderful bonus. The CP 900 series, the official name for the Nucleus N6, comes in two versions: The CP910 offers a direct audio input (DAI) port, while the smaller, but otherwise identical CP920 does not. For those who want the smallest possible device, the CP920 is the way to go, while for those who may need to use FM systems, or perhaps a direct connect cord to an audio device, the CP 910 is the way to go. 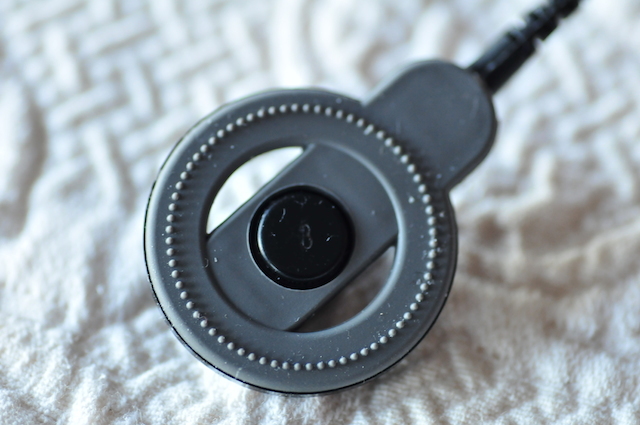 Here is a closeup of the mics and controls. … and one of the new N6 coil made of a different material. So, what’s new with the new CP 900 series processors? The principal point of change is a new custom microchip, which gives the new processors some advanced capabilities. Other changes are a small reduction in the size of the processor, a new ear hook system, and some minor cosmetic changes. The Nucleus 6 retains the same titanium bayonet mount for the batteries as was found on the Nucleus 5, and the overall quality of the processor and coil appears outstanding, with the same quality materials and finishing as the older unit. Looking under the hood, Cochlear have developed a new “SCAN” program, which is essentially an “automatic transmission” for the processor. SCAN is available here in Canada and some other markets now, and will come to most other locations soon. Just as an automobile transmission has a number of gears which are each suitable for different driving situations, so the processor has a number of different programs, each of which is suitable for different listening situations. There are programs for QUIET SITUATIONS, SPEECH, SPEECH IN NOISE, WIND, MUSIC, and one called FOCUS, which utilizes zoom microphone technology to help with hearing a particular speaker in a noisy environment. SCAN constantly analyzes the sound environment, and chooses which program is most suitable for the situation. Think of it as putting your car in “Drive”! The Remote Assistant, which communicates bi-directionally using 2.4 GHz radio technology, has an informative screen which tells which of the programs the processor has selected. In addition to this new processing strategy, the processors in the CP 900 series have wireless connectivity built in to the chip, using 2.4 GHz technology. 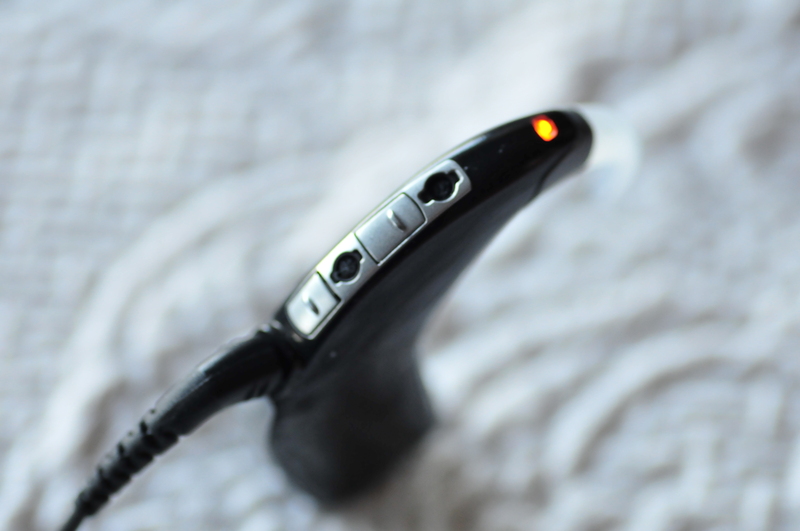 Cochlear have teamed up with GN Resound, a Danish maker of hearing aids, to use the same technology and series of connectivity devices, and this will be available by way of a software upgrade, as soon as approval for release is obtained. As well, these processors can operate in a hybrid mode, which offers simultaneous electrical stimulation and acoustic stimulation with a plug-in hearing aid component that replaces the standard ear-hook. Again, release is waiting on regulatory approval. Because I am the first person that my audiologist has upgraded to the N6, she has requested that I use the SCAN program, and that I provide some feedback. The remote assistant displays which program the processor has selected. Upon wearing the new processor, my initial impression of the sound quality was that it’s quite significantly improved over the older model. Voices have a “fuller” sound, and the sound quality in the high frequencies is still crisp, and precise. Background noise, which the N5 presented as a sort of “grainy” stream, is now much more natural. SCAN chooses between EVERYDAY (Speech); NOISE (Speech in noise), FOCUS (Microphone zoom), WIND, and MUSIC. As I left the clinic, I walked out into a busy downtown urban street. The NOISE program came on almost instantly, and the traffic roar was reduced substantially. However, at the same time, the unit reduced the apparent volume of my own voice, and presumably would have reduced the volume of the voice of any person with whom I had been conversing. I got on my bicycle, and rode home, and noted that the WIND program was invoked, and that it did reduce the volume of the wind noise frequency bands significantly. At home, the unit sometimes had trouble deciding whether it was a quiet situation, or whether, when my wife and I were talking, it was a speech situation. As it turns out, it didn’t matter, as I was able to follow the conversation without any difficulties. On day two, I went to the local community centre for my weekly dose of Tai Chi. The room we use has a noisy ventilation fan, and I noticed that when the unit switched into the noise program, the voice of the instructor was attenuated a bit more than I’d have liked. I used the remote to switch to the EVERYDAY program, designed for speech, which was my go-to program on the old unit. That restored the instructor’s voice to the normal level. And finally, last evening, I chose to watch the evening news on the television. In our open-plan house, my wife was watching something else on the kitchen television, and the unit decided that I was in a SPEECH IN NOISE situation. Again, the television voice sounds were attenuated, so I once again switched to the EVERYDAY program, as I had done at Tai Chi. I suppose I could have just turned up either the sensitivity or the volume, but changing programs was a one click operation, one which did not require the use of the remote. On day 3, I took some time to listen to music with the new unit. I did so using the SCAN program, and noted that for most types of music, the unit switches to the music program quite quickly. The exception seems to be some forms of choral music, which can sometimes confuse the unit, as it reports out on the remote assistant that it is in a noisy environment, or a speech in noise environment. The new processor does a better job than the older one at pulling individual voices and instruments out of the total sound environment, and reproduces the sound so that familiar melodies are rendered accurately. As with the older unit, and indeed with most CIs that I’ve read about, the sound is weak in the bass registers, resulting in an overall “thin” quality. Despite this, my music listening experience was enjoyable. Monday, day 4 with the new processor, a day spent mostly working outdoors, with the EVERYDAY program, I was unaware that I had switched to this program. Conversing with my wife and some neighbours in the yard, I did not have any trouble hearing any of the conversations, as far as I could discern, and I did not find any of the background noise annoying. At one point, I heard what I thought was some sort of strange bird call, but it was apparently a car alarm off in the distance. Back in the house, I was about to lie down for a brief nap when the antique clock decided to chime the hour. And that’s when I noticed that the character of the chime sound has changed from what it used to be. I have to be honest here–it must be 50 years since I last heard it without the aid of some sort of hearing instrument, but it certainly sounds more like I think I remember it. The sound with the Nucleus 6 is again, fuller than it was with the Nucleus 5. During the evening, I enjoyed an hour-long conversation with an old friend using Skype as the medium. Despite the fact that my MacBook Air has what I consider to be very “tinny” speakers, we both agreed that I did not have trouble with the conversation, but then again, the lip sync was excellent on this call, so I guess I was doing some some lipreading! It seems only fair to point out that the voices of all my friends are different, and yet with the CI, I can easily distinguish all of them. Day 5 was a repeat of day 4, but day 6 saw me head out on a four-hour cycle and lunch trip with two buddies. While cycling, I had to remember to ride with the other guys off to my right, so as to avoid the “head-shadow”, and if I did this, I could stay in the conversation. The processor switched into the WIND program, which, although it does not completely eliminate the “roar” of the wind, does reduce it to a very manageable level. At the cafe, typically noisy with a lunch crowd, conversation was relatively easy, although I did have some problem following the server, perhaps because of the head shadow again. I went for lunch with my daughter on day 7, and we chose to go to a busy Chinese noodle house, a very noisy restaurant. Before leaving the house, my wife and I conducted a very simple test. We turned on a vacuum cleaner, and while she talked to me, I tried each of the four programs on my processor. With SCAN, the processor went immediately to the SPEECH in NOISE program. after listening to each of the programs, I chose to “shift gears” for myself, and chose the one that gave me the best speech comprehension, which was my old EVERYDAY program. At the restaurant, I was able to hear my daughter very easily, as we talked over the upcoming Christmas season events. And, on the same day, I attended an evening meeting of 14 people. Because we were all seated around a large boardroom table, it was not possible for me to use speechreading. Again using the EVERYDAY program, I found that not only could I easily hear each speaker, and I was able to identify the speakers by the sound of their voices. Listening to music with a cochlear implant, while once a challenge, is now something that can be quite enjoyable. With my N5 processor, I did enjoy music, although my perception was that there was too much treble, and not enough bass tones. With the N6, this has improved, but not so much that I would say the tonal imbalance has been erased. Violins sound smoother and more full, and vocals have a more natural sound, but the lower registers of the piano, and string bass notes are still quite weak. One last performance item I’d like to note is battery usage. The N5 would run for about 32 hours using the standard (larger) rechargeable battery. With the N6, I ordered the smaller rechargeables. These give about 17 hours of continuous use. I tried the larger rechargeable battery with the N6, and found it returned about 30 hours of continuous use. Whether this represents a drop, or just changed circumstances is not clear, but the battery life of the two units is comparable, and the lighter weight of the unit with the smaller battery definitely adds to the wearing comfort. The N6 comes with a totally-redesigned “Advanced Remote Assistant” which communicates bi-directionally with the processor. In addition to changing programs, you can adjust volume, microphone sensitivity, and such variables as the telecoil-to-microphone input ratio, and the accessory socket-to-microphone ratio. Finally, you can check the battery status of the processor, and run a simple diagnostic routine to help troubleshoot. Besides this remote, the N6 comes with a new “Pocket-Size Remote Control” which allows for program changes, and adjustment of volume. 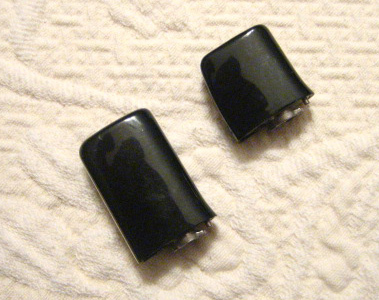 Both remotes allow for selection of telecoil, or auto-telecoil. It should be noted that the audiologist can choose to enable or disable some of the capabilities of the Advanced Remote Assistant, depending on the technical sophistication of the user. After a little more than a week “test driving” the Nucleus 6, I’m generally well-pleased with the improvements in the quality of sound when compared to the N5. The SCAN program generally works as intended, but I am left wondering whether I might not be better off to let my own brain, which has proven quite plastic, to adapt to different sound environments by itself. As my first week with the new processor progressed, I found myself “shifting gears” myself more and more frequently, choosing the program which sounded best to me, usually either EVERYDAY, or NOISE. Perhaps the SCAN program feature is intended for those who have more difficulty hearing with a CI than I do. Would I recommend this upgrade to others? For anyone using the older Freedom processor, for sure! For those with a Nucleus 5, the improvement in sound quality is closer to evolutionary, rather than revolutionary. For some users, the upcoming wireless connectivity will provide a reason to upgrade. Others may wish to take advantage of the hybrid feature when it becomes available, and after discussing this with their audiologist. All in all, I think Cochlear have done a great job of advancing the technology and feature set in their processor, and for those who are upgrading from the N5, the compatibility with the older batteries, coils, cables, etc., is most welcome. 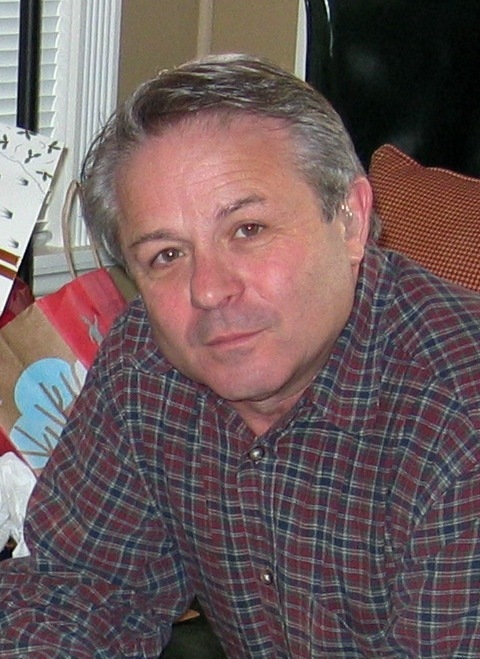 Rick Waters lives in Vancouver, Canada. After spending over 20 years working as a communications consultant with the Canadian Government, he retired, only to take a job working as the head of the Communication Aids department at the Western Institute for the Deaf and Hard of Hearing, where he worked to help those for whom a hearing aid was not enough. He has found that his life-long interest in audio has enabled him to understand the design and operation of hearing instruments, and this in turn helps him to get the most out of those devices. In his spare time, he loves to shift the gears manually in his 1949 MG TC Roadster, which he’s driven from Vancouver to San Francisco, as well as all over the Pacific Northwest. Rick’s wife, Lynn, and his two grown children have always been supportive of his struggle to hear, and are delighted with the success of his recent cochlear implant. This entry was posted in Blog and tagged Cochlear Nucleus 6, cochlearimplant, nucleus 6 review, processor by CochlearImplantHELP. Bookmark the permalink.